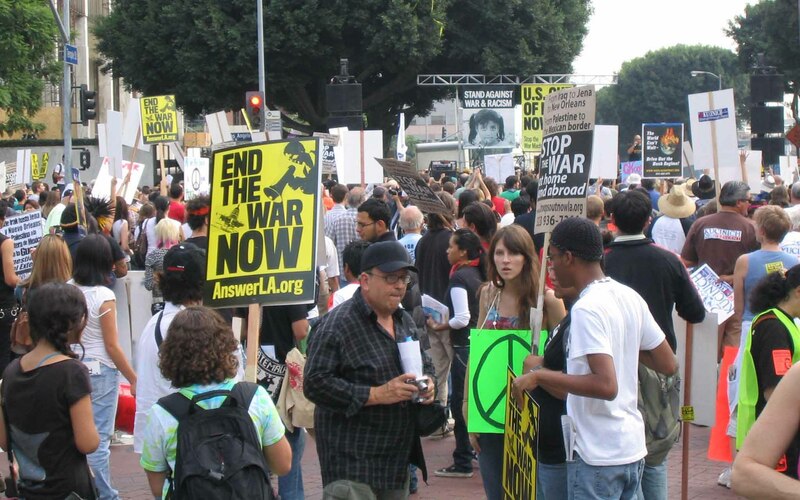 Another mass protest in Los Angeles, one of many around America this weekend. Here are some pictures. The war is 4 1/2 years old now. It is unbelievable how the reasons for the war were all completely proven false, yet the war goes on. WTF! I estimate the crowd at around 7500. 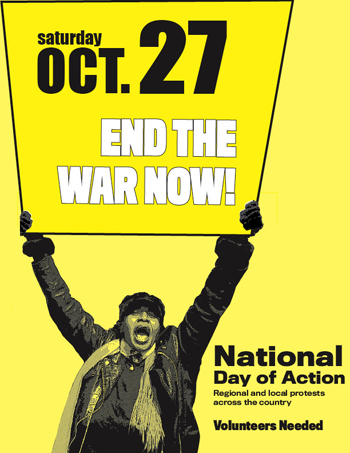 Another group of major protests are planned for October 27. Most are sponsored by the A.N.S.W.E.R. coalition, and you can view the locations here. Or go to our demonstrations page to see where else demonstrations may be happening. Please go. If you have never been to a peace protest before, then I encourage you to go even more, you won’t regret it. In April 2006 at Johns Hopkins University, a student asked a question about what the legal status of private military contractors is in Iraq. Bush dodged the question, see the video below in case you never saw this. The current situation with Blackwater and the other 120,000 to 180,000 private military contractors in Iraq shows you just how little has actually been done in this area. One theory on why Bush answered the way that he did here (specifically the word “delegation”) is so he could avoid any problems during war crimes trials. No matter what his reason is, the answer is unacceptable and the mainstream media is complicit by not getting the answer to this question back in 2003, let alone 2006 or 2007. Video clip from the Onion News Network: Are Americans Rich?